Its probably the last thing you want to think about, but accidents can always happen. Of course you want to return home safely. For optimal safety for yourself and for others, please read this page. What do we do to guaranty your safety? The campsite owner can be reached 24hours a day using the intercom located at the entrance of the campsite. He is trained in the perform of first aid. 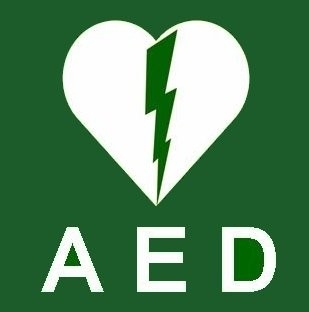 In the reception there is an AED (Automated External Defibrillator). There is always personal available trained in the use of the machine. In the reception there is a first aid kit, a fire extinguisher and a wheelchair. What can you do to guaranty the safety of yourself and the others? The greatest danger of a caravan or tent is fire, there is little you can do to safe it. That is the reason that open fire is not allowed at the campsite. It is allowed to use the barbeque, when you have a bucket with water nearby. Fire extinguishers are required in your motorhome of caravan. The maximum speed at the campsite is 5 km/hour. Give your motorhome or caravan a regularly check-up, so you know for sure all electricity in your caravan or motorhome is alright, and your gashose is safe. At the campsite we have a CEE connection for the electricity. Only grounded cables are allowed. Always follow the instructions of the staff and emergency response teams.